This post is from a new INFLECTION column called “The Founder’s Tribune” where founders share their raw startup stories. If you have a story to tell, let us know here . Frank Denbow is a computer scientist and entrepreneur from New Jersey. He is currently a Startup Advocate at Microsoft, helping support the startup community in NYC via Microsoft for Startups. He is the founder of INK’A (inka.io), a platform for producing top quality custom apparel for companies and influencers. If your dreams don’t serve you, let them go. 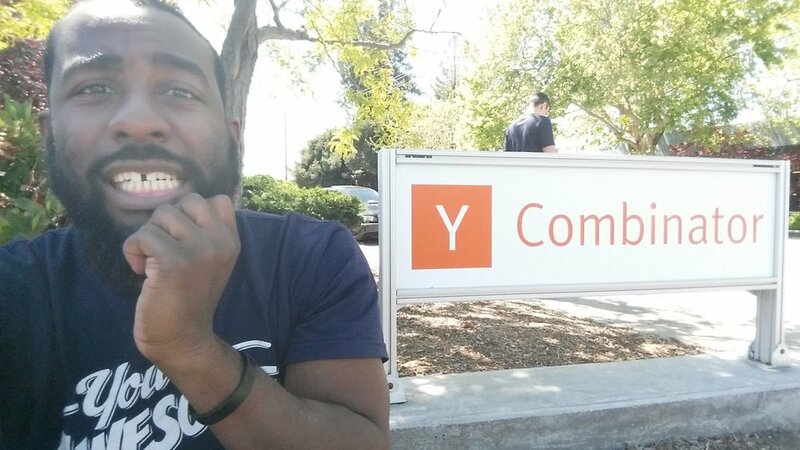 One dream I had was to be a Y-Combinator (a.k.a YC) founder. I can already read the hacker news comments: it’s just an accelerator, why does their validation mean anything to you? Just build stuff. You have to understand where I’ve been and how far I’ve had to come. 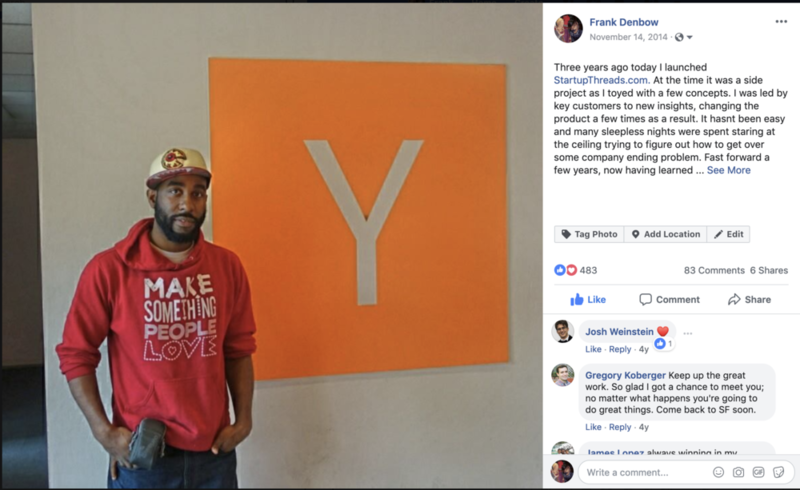 When you’re the only black male in the room for most experiences in your educational career, when you’re doubted for whether you have the skill or just won the diversity lottery, you look for something, ANYTHING to tell you that you’re worth it, and I thought I would get that from YC at the time. That they would stamp me as LEGIT. And then I could bring all the rest of us up with me. It was a wrong way of thinking so I will explain to you why. I had started a company (now called INK’A, then it was StartupThreads) and was slowly receiving some traction. But no investors were interested. Alejandro Russo more than once said things to encourage me. I don’t forget. The dream was set and I put the application in, over 6 times. I eventually got an interview while I was down in Chile doing StartupChile Seed program. I was pumped, as I could finally see the path to that dream being real. Get yourself a friend/investor like Deepen Parikh. He is a real one. The second problem was that the dates of the interviews were the same weekend I had signed up to facilitate a Startup Weekend in Valparaiso. I crafted a plan: I would take the earliest possible interview slot on Thursday, and then go directly to the airport and fly through Dallas to Santiago. I would have 2 hours to kill until having to take the bus from Santiago to Valparaiso to make it in time for the event. Aggressive, but if its physically possible, I would try it. So I executed the plan and found myself in Mountain View, waiting outside the YC offices before anyone had even gotten there, with my luggage in tow. I waited my turn and sat down with the friendly panel of YC partners. They probed and prodded my business and asked questions that truly made me reflect in ways I hadn’t before. I didn’t have time to think about it. I hopped in a Lyft (I’m woke) and went to the airport. I was either going to get a phone call with a yes, or an email with a no. My YC rejection was actually a testimonial, given the right perspective. They couldn’t see my vision. I brooded on the flight from Dallas to Chile. Landing in Chile to a text from a friend saying that the subways are down because of an electrical failure. 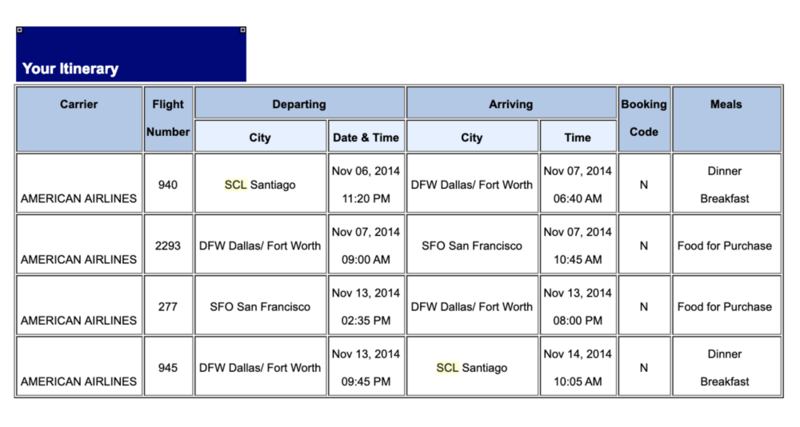 I didn’t have any time to change or drop my stuff, I had to hop on a bus from the airport and head up to Valparaiso. It seemed like the world was conspiring against me. I grew up as a quiet kid who never raised his hand in class. My cousin Paula described me as the Cornel West (pre-Obama version) of the family: just sits there quietly and occasionally says something insightful. But in this moment I could not take it. I furiously typed a blog post into a gmail draft on my phone as we drove up to Valparaiso in a smelly bus. At the time it was my most liked FB post. It was raw, and I wouldn’t change a word of it today. One comment in particular really hit me at the time from Evan Stites-Clayton, one of the cofounders of Teespring. Everyone wanted us to be enemies, but we were kindred spirits. 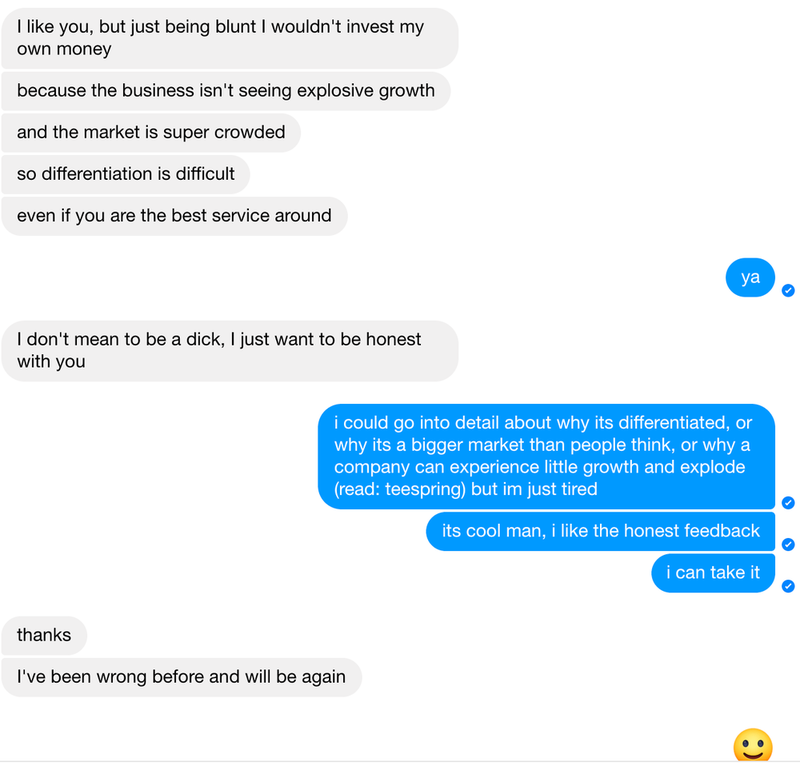 Sidenote: Teespring was the YC darling, and I could not avoid every single investor mentioning them and passing because they had either invested already in Teespring or thought they would crush me. The moment I just just felt exasperated by fundraising. Teespring wasn’t my enemy, and even Evan let me know that I could do this if I kept at it. 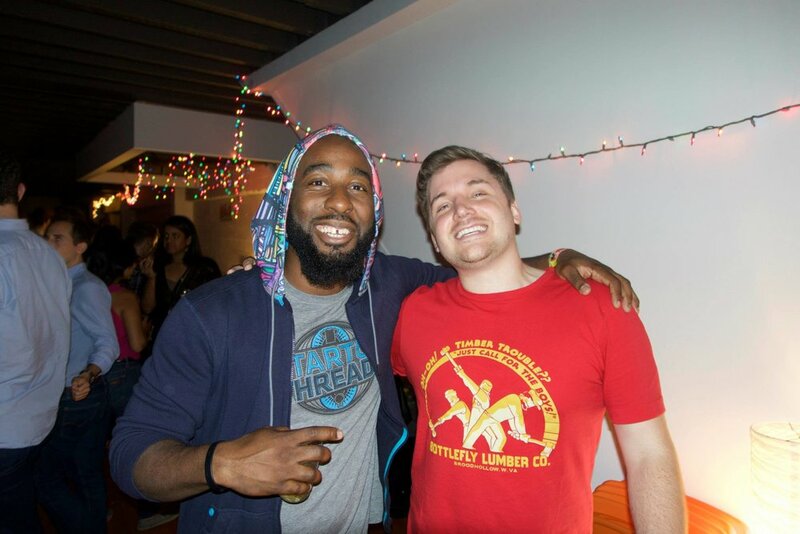 Fun times with Walker Williams, other Teespring Co-founder. One of the few who could understand. Exhausted, I went on to run the Startup Weekend Valparaiso and it was a smash. I got an immense amount of joy from hanging out with the small group of founders and aspiring founders. I had forgotten about how deeply the rejection cut me that same day and just had fun. I should have realized in that moment that I already had found that which fulfills me. It was working with a startup community, helping people who are just getting started on their journey as entrepreneurs. I was so blinded by this dream of being a YC founder. Of having this hero’s story to tell. Of having a performance of success to show others. As my friend Joey Aquino made me realize, I was holding onto this dream of the heroic story to feed my own ego. I prioritized the perception of me, over me. Fast forward to December, and I’m running an INFLECTION fireside event featuring Melanie Moore, Danielle Leslie, Adam Schwartz, Willow Hill, Raechel Lambert, Alex Adelman, Tani Chambers, Philip Kasumu and Rich Kerby sharing their knowledge. 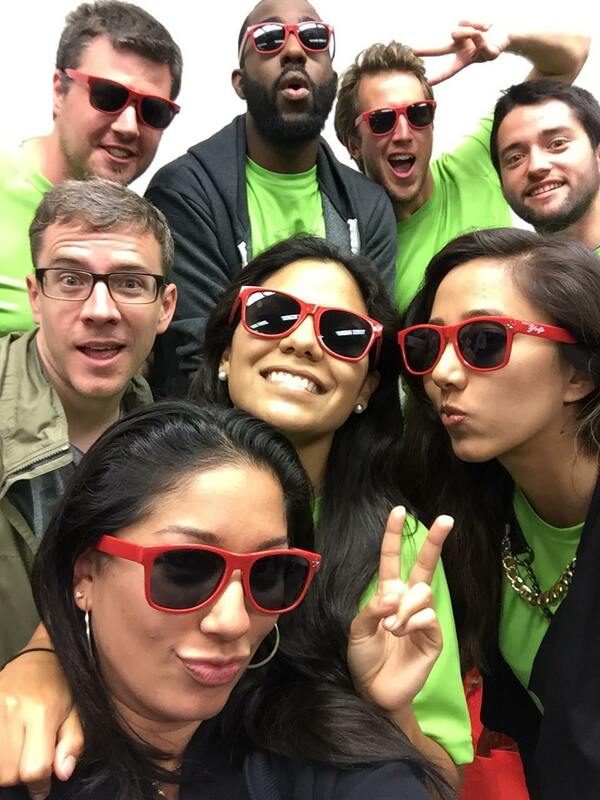 The dream team of speakers for INFLECTION Firesides. All brilliant. I was doing the interview with Adam, as he has been a friend and mentor for many years. Secretly, I wanted to be Adam. He had the narrative that I wanted: built a company methodically, with no press or venture funding, into a $57m exit to RedBubble. Just a couple of tshirt guys. I guess that may be obvious to people who know me, but nobody had ever said it to me directly. That week I hit up my buddy Doug Gould who I met via Dave McClure’s Geeks On A Plane (Sidenote: GoAP was expensive and I couldn’t afford it, but Tim Falls, who was at Sendgrid at the time, sponsored me, asking for pretty much nothing in return. Another real one). Doug works at Microsoft and forwarded me in to the team. They moved super quickly (over Christmas no less) and had an offer on Jan 2nd that I accepted. The role is for me to do what Adam said I am good at: bringing people together in the startup community. After 7.5 years of ambient stress, inability to consistently pay rent, isolation from friends, and a lack of stability, I realized the dreams I was chasing were not the right ones. 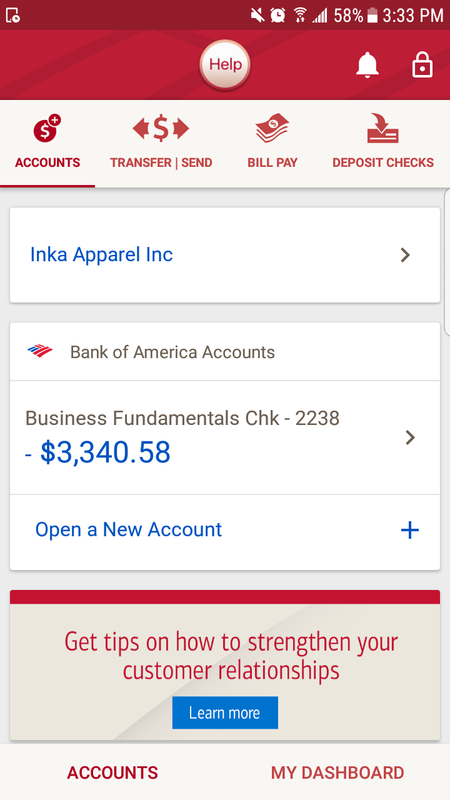 Devin Baptiste, in one of his daily check in calls, told me to screenshot the balance. It won’t always be this way. Yes, the startup still has paths I haven’t tried. It still has brilliant parts to it for defensibility. Marketing plans never executed. Employees that could have been hired. Deals that were 90% there. A few product tweaks to turn it into a growth machine. I had to take a step back, and honestly appraise if it was working or not. It would be easy to blame all kinds of external factors, and continue blindly attached to this vision, pushing myself away from the truth. But this was all me: whatever decisions I made did not make it work the way I wanted, and I have to value my own sanity above the pursuit of a dream. I have the stamina to keep going, but at what cost? 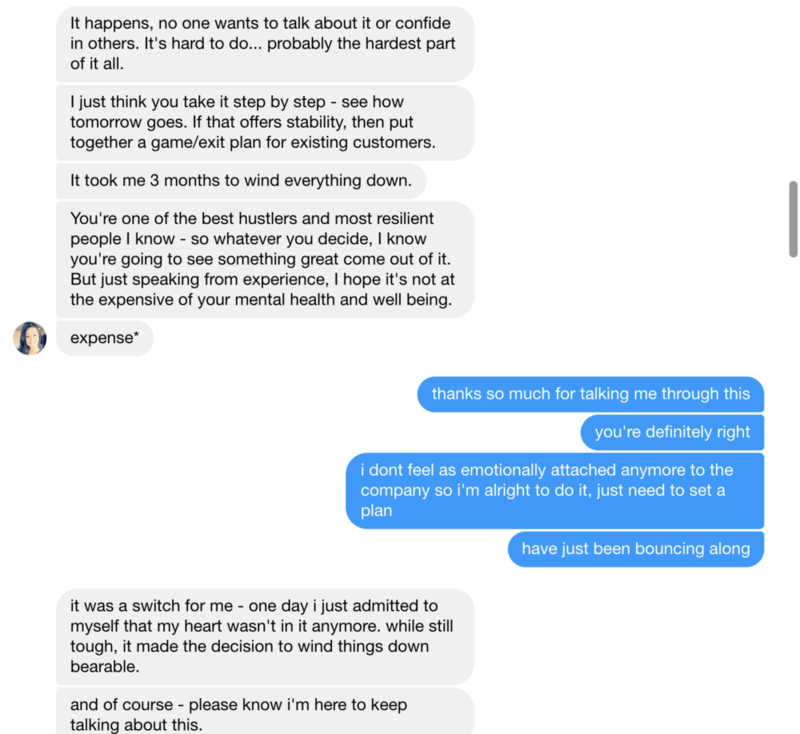 As I signed that offer letter with Microsoft, I felt an immense weight off my shoulders. I posted about joining Microsoft, and now this is the most liked facebook post, to my surprise: I didn’t think my startup friends would be excited about me getting a job at one of the biggest companies in the world. Seems like my friends don’t really care about my narrative. They cared more that I’m 100% happier in February 2019 than I was February 2018, doing what I’m supposed to be doing. You can’t live in survival mode and do your best work, and I tried doing that for 7 years. 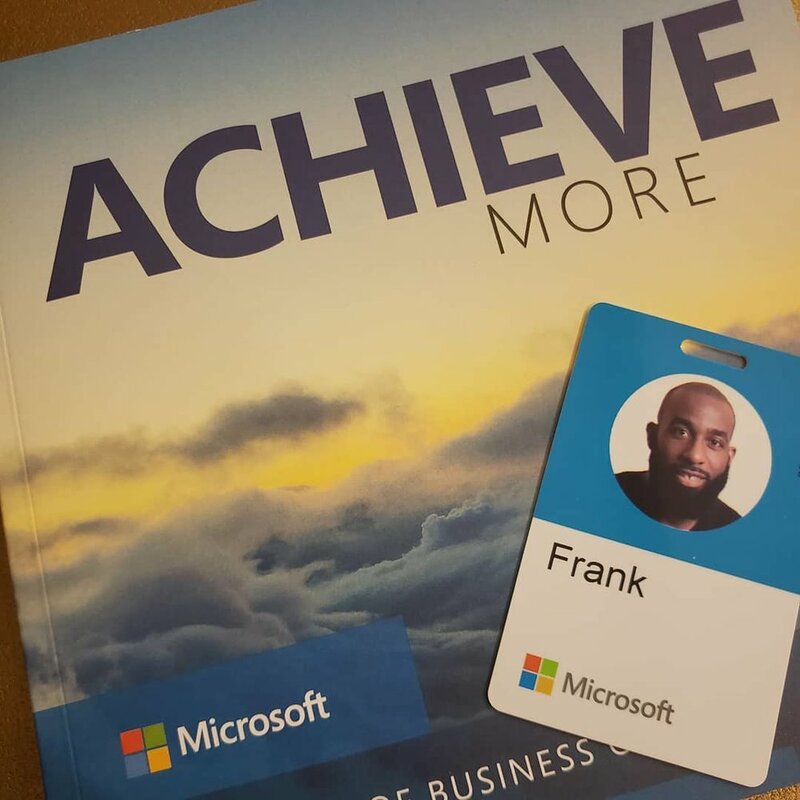 I started my first week at Microsoft and it's been a dream: co-workers who value my thoughts, who encourage me, a culture that *actually* appreciates diversity and inclusion at a core level, and autonomy for me to work in a way that’s healthy for me. And we are building incredible tech to affect society and culture. And free LaCroix (although they don’t have peach-pear or coconut which is kinda wack but I’ll text Satya on it). These first few weeks of 2019 have been a wave: a NY Times article that represents so much, breast cancer conquered, and a reunion many years in the making. I know these things never last, but I am soaking this up right now. This is the best month of my life. And it would never have happened if I held onto those dreams. If I kept blindly charging forward without clear perspective on what has happened. I had to let go of the wrong dreams to make way for the right ones. Thanks to my dear friend Megan Hannum for inspiring this post and Bea Arthur for also solidifying these thoughts in person. To Thompson Plyler (!!! ), Andrew Oved, Kara Silverman, Jesse Genet, Whitney Cole, Andrew Hitti, Chris Rodriguez, Chid Liberty, Devin Baptiste for reviewing edits of this post. Thanks to Darius Miles who I don’t know personally but was one of my favs in the NBA for writing this post. Thanks to Adam Schwartz, Deepen Parikh, Tim Falls, Dave McClure, Joey Aquino, Doug Gould, Evan Stites-Clayton, Sumaya Kazi, Kara Silverman, Aaron Cohn and many others (you know who you are) for giving the right support at the right time. And lastly, thank you to my Grandma Enid, who passed 2 years ago to the day for being my motivation. If you liked anything in my post, please go read about her. Learn from raw founder stories, get free tickets to upcoming events, and read the latest news pushing profitable companies forward.